Whistleblowing plays a crucial role in managing risk and cultivating an ethical culture in your not-for-profit organisation. It is an essential and effective tool in your good governance toolkit. Organisations can maximise the benefits of disclosures by whistleblowers by maintaining a whistleblowing program built on robust policies and procedures. These require consistent processes, documentation, training and regular reviews. This publication demonstrates how your organisation can establish and maintain such a program. 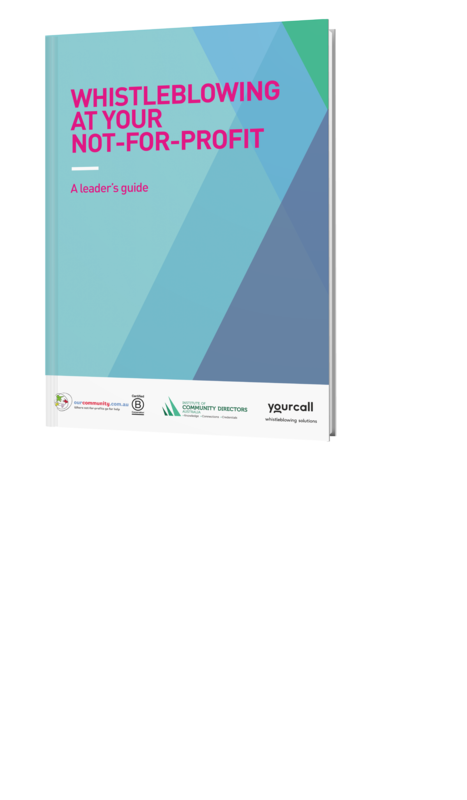 It explores whistleblowing laws, proactive leadership, organisational culture, policies, procedures, reporting pathways, communication and training. It includes templates for the cornerstones of your whistleblowing program: a policy template and a procedures template. It also includes a checklist to enable you to assess the health of your whistleblowing program. What element of the project are we evaluating, exactly?